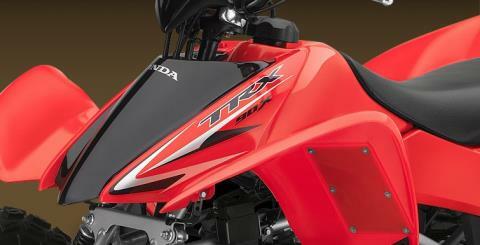 The TRX®90XF. The start of something great. 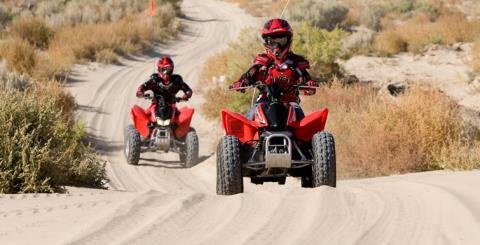 With a great family sport like ATVing, you want to make sure your kids start out with the right equipment. Which is why we created the TRX90X. 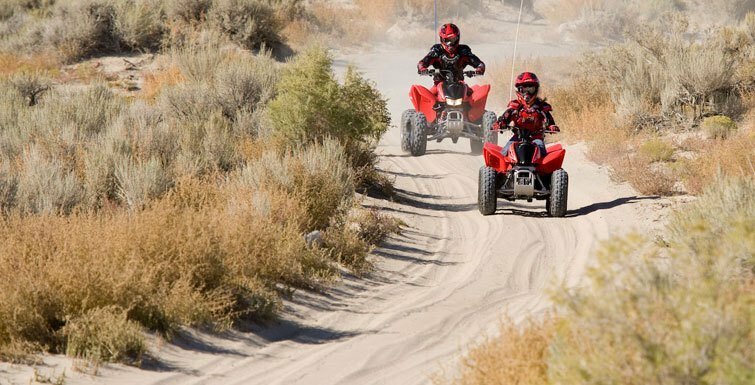 It's just the perfect combination of fun, agility, reliability and easy operation—all human-engineered to give your younger riders the right start for a lifetime of off-road fun. With its rugged SOHC engine, easy electric starter, clutchless transmission and hot TRX®450R-inspired styling, your favorite rookie will look just as great on their TRX90X as they feel. Recommended for riders 12 years of age and older. Honda recommends that all ATV riders take a training course and read their owner's manual thoroughly. TRX90X riders younger than 16 years of age must be supervised by an adult. Independent front suspension features a pair of rugged shock absorbers with 2.6" of travel for a comfortable, controlled ride. Single-shock rear suspension delivers all-day comfort with trail-taming handling. Effortless electric starter makes getting the engine started easy. Even when the engine is cold or at high altitude, all you need to do is push a button. 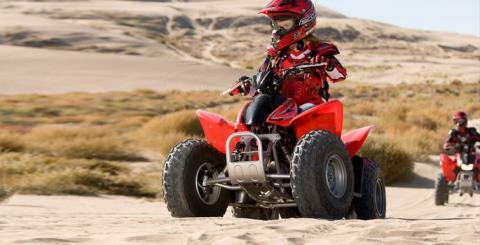 Using a keyed ignition, parents control who goes riding and when. Adjustable throttle limiter lets parents control top speed and power too. 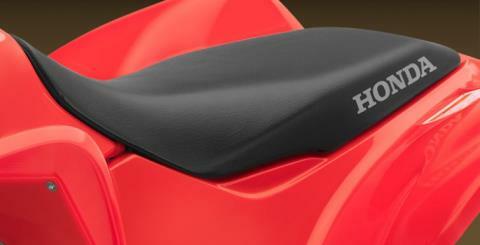 Honda's proven 86cc SOHC four-stroke engine offers smooth, useable power delivery and legendary reliability. 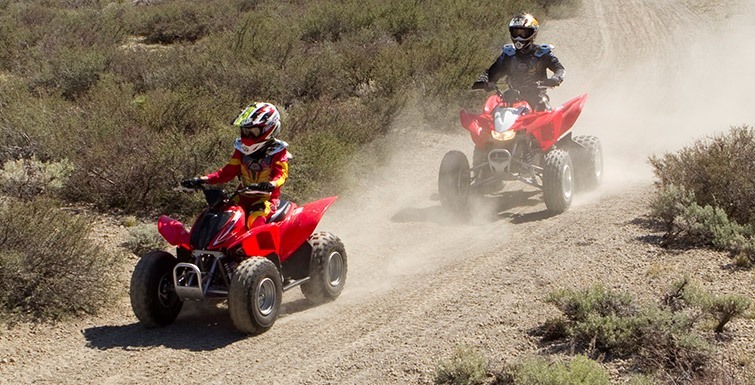 Convenient, push-button electric starter ensures hassle-free starting in all conditions. Durable automatic clutch makes takeoffs and shifting a breeze. 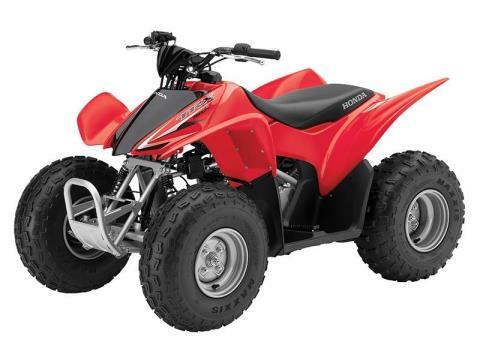 Versatile four-speed transmission geared to deliver beginner-friendly power in all riding conditions.